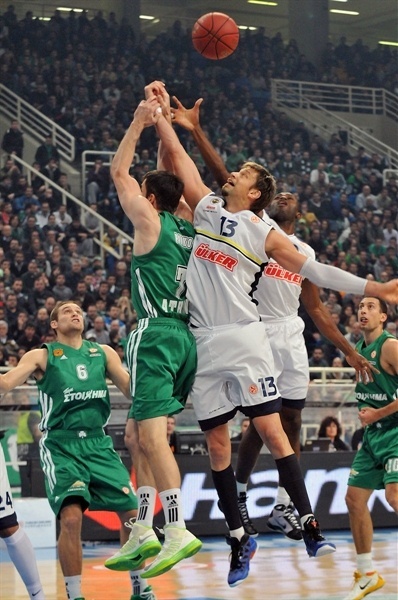 Panathinaikos Athens jumped into a tie for first place in Group A with a great defensive display in a win over Fenerbahce Ulker Istanbul 69-55 at O.A.K.A. in the Greek capital on Friday night. 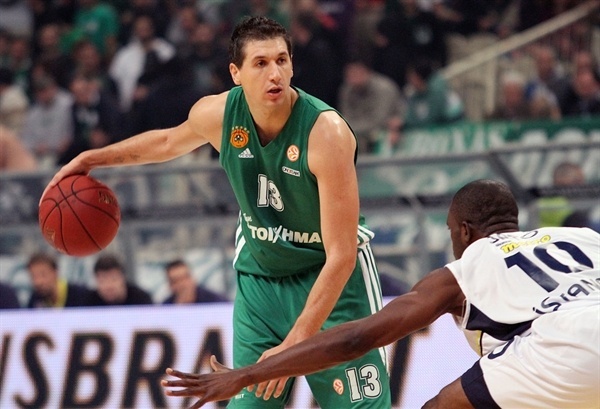 The win improved Panathinaikos’s record to 6-3, and Greens will win the group if they beat BC Khimki Moscow Region next week. Fenerbahce dropped to 4-5 record and fourth place and needs a win at home against Mapooro Cantu in order to advance into the Top 16. Panathinaikos grabbed control of the game with an 8-0 run in the second quarter that gave it a 28-19 lead, and the visitors never got closer than 3 points rest of the way. 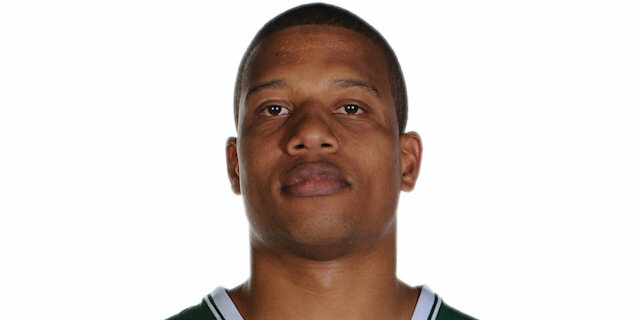 The Greens sealed the win in the fourth quarter with triples from Marcus Banks and Michael Bramos. Both Bramos and Banks finished with 9 points, Bramos added 6 rebounds and 4 assists, and Banks scored all his points in the fourth quarter. 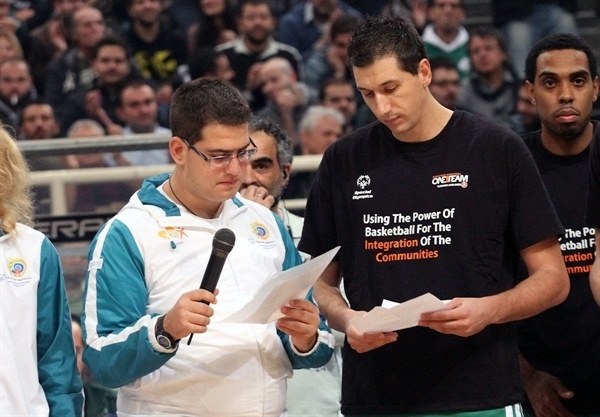 Andy Panko led Panathinaikos with 15 points, Sofoklis Schortsanitis scored 11, while Dimitirs Diamantidis had 9 points and 9 assists. For Fenerbahce, Romain Sato scored 20 points plus 8 rebounds, David Andersen added 8 points, Bo McCalebb scored 7, while an emotional Mike Batiste scored 4 points in his first game back at O.A.K.A. David Andersen scored from close range before Bojan Bogdanovic made a fastbreak layup and a baseline jumper for Fenerbahce's quick start. 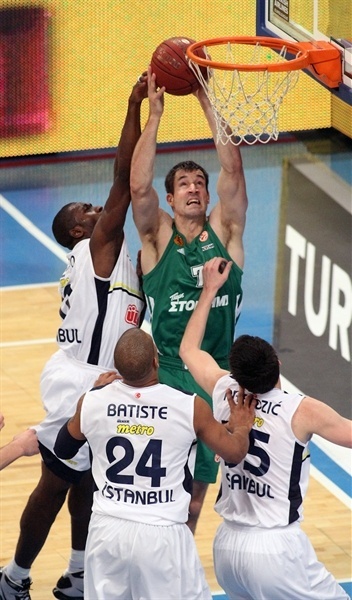 While Panathinaikos opened the game with 4 consecutive turnovers, Batiste’s uncontested two-handed slam made it 0-8. Stephen Lasme opened the hosts’ account with a pair of free throws before Panko and Batiste traded baskets. 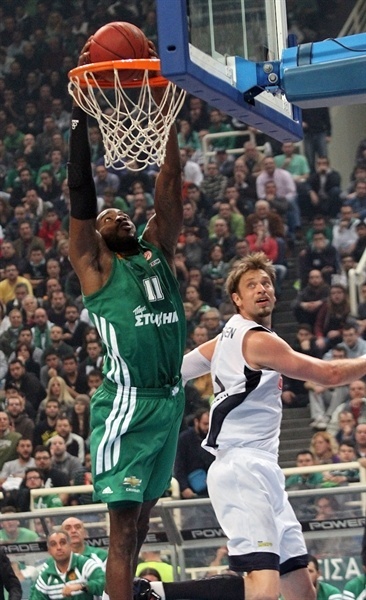 The Panathinaikos offense started clicking once Sofoklis Schortsanitis entered the game. 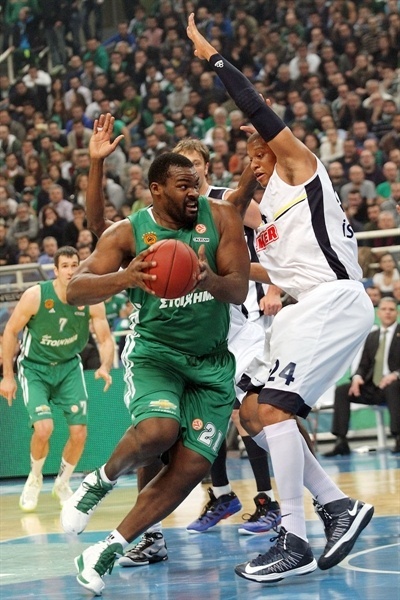 Big Sofo scored inside on back-to-back possessions, and a put-back from Dimitris Diamantidis cut the deficit to 10-12. 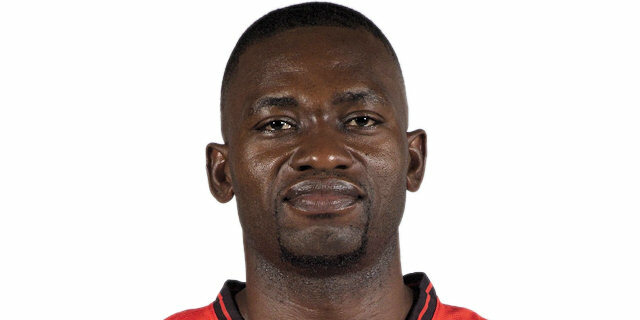 Fenerbahce stayed in front with a driving layup from Romain Sato, before Diamantidis ended the scoring in the quarter from the free throw line, 12-14. A put-back from a dominant Schortsanitis tied the game at 14-14 at the start of the second quarter, but that was a lone basket in the first three minutes of the period before a couple of layups from Panko on assists from Diamantidis gave the Greens their first lead of the night. The visitor’s drought, though, prolonged for a full five minutes before Andersen scored on a nifty move in the paint. But it was Diamantids who continued to run the show, while Lasme and Ukic scored inside for the hosts. Fenerbahce cut it to 20-19 with the first triple of the game from Bo McCalebb, however a string of fastbreak baskets from Michael Bramos and Panko pushed the lead to 28-19. Ilkan Karaman scored a rare basket for Fenerbahce, and McCalebb hit a baseline jumper as time expired to make it 29-23 at the half. 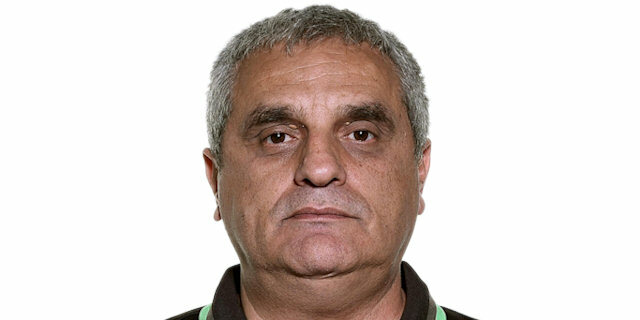 Panathinaikos honored Fenerbahce's Batiste during halftime for his nine-year tenure at the club, and the three-time Euroleague champion was so emotional he could not start the third quarter. Schortsanitis used Batiste’s absence on the floor to muscle his way inside to open the quarter, but Sato hit a triple and McCalebb made an easy layup for 31-28. Lasme answered with couple of baskets inside to make it a 7-point game, before McCalebb made a layup of his own to prevent the hosts from pulling away. 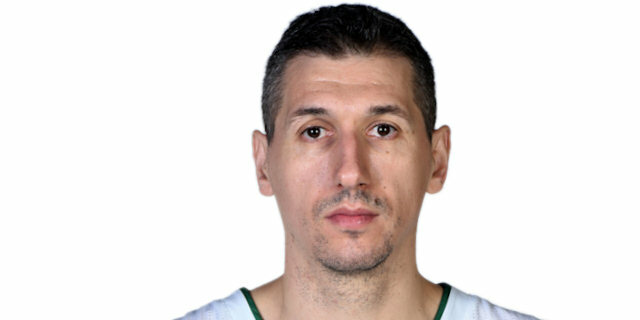 After a 3-minute period with no field goals and as pace of the game slowed down, Diamantidis and Sato traded triples for 38-34. 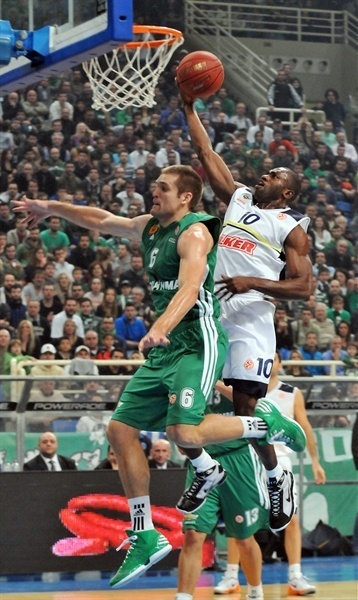 Panko and Schortsanitis scored inside giving Panathinaikos another 9-point advantage before Sato hit a triple just before the buzzer to make it 43-37 at the end of the third quarter. The fourth quarter started with layups from Marcus Banks and Roko Ukic, making it a 10-point affair for the first time, 47-37. At the other end, Sato was fouled behind the arc and made all 3 free throws, but Banks drove to the hoop for a layup and Panko sank a triple from the left corner to keep the host at comfortable distance. Andersen hit couple of jumpers cutting the lead to 7 points, but Bramos made a jump shot of his own for 53-44. Panko and Onan traded jumpers before Banks hit a triple from the left corner making it 58-48. 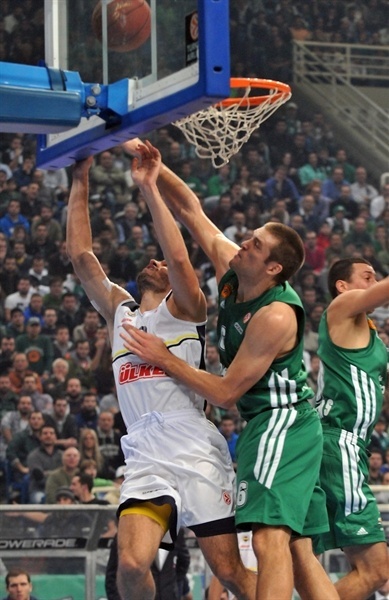 Sato replied with a jumper, but Diamantidis made a layup and Bramos sank a triple to seal the deal. Margin reached 69-51 with baskets from Kostas Tsartsaris and Banks before Emir Preldzic and Omar with a triple rounded out the scoring. “It was a great and unforgettable night for me. I came back home with so many friends around and with lots of great memories and strong emotions I experienced in the last nine years. I was very welcomed by the fans and that is something I will never forget. I will keep these icons into my heart until the day I die. The future is unpredictable. You may see me again here as a player, you may not. But the memories will last for a lifetime. Although we lost the game, I am full of happiness and pride. 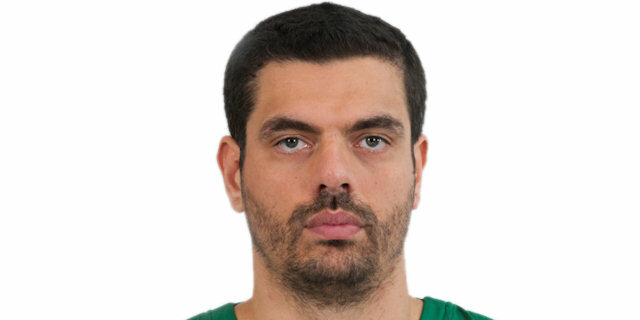 Panathinaikos is always strong with Diamantidis and Tsartsaris guaranteeing the competitive spirit."